If you're an Android user, you may have had the experience of feeling late to the emoji game — after all, Apple made emojis a standard part of the default iPhone keyboard pretty early on. While the Android platform was a bit later to the game, it now offers built-in emojis for its keyboard as well. However, if you have an older Android phone, it's possible that your device doesn't support emojis. This doesn't mean you're doomed to see squares instead of smilies, however; there are plenty of third-party apps you can turn to in order to send and receive emojis. From there, select the keyboard you'd like to use. One important thing to note before we dive into the list of best emoji apps for Android: if you're sending emojis from an Android to someone with an iPhone, the smilies and other icons will look different on their device, since Apple and Google have different designs for emojis — one of the only surefire ways around this issue is to root your phone, which we wouldn't recommend doing unless you're an experienced techie aware of the potential consequences. 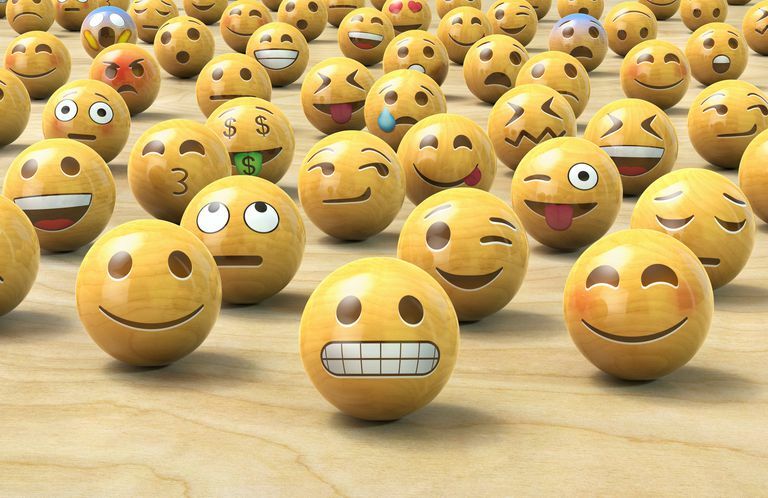 We'll run through some good alternatives for getting emojis on your Android phone below. Downloading a third-party keyboard is a solid option for you if it's quantity you're looking for; for example, the Kika Keyboard Emoji Keyboard app gives you access to more than 3,000 emojis. In addition to offering plenty of options to choose from, the app includes an emoji prediction feature along with an emoji dictionary, in case you're unclear on the meaning of any of the icons. You can also send GIFs and stickers across social apps like Facebook Messenger, Kik, Snapchat and Instagram. While the app is free to download, themes are available for purchase. This article won't delve into the specific third-party emoji keyboard apps since most of them are quite similar to Kika's offering. If you're interested in downloading one to get even more emojis than the standard Android keyboard offering, it could definitely be worth spending some time browsing the options in the Google Play app store. SwiftKey is a worthwhile download even if you don't want or need emojis, since it offers the option to swipe between letters to type and uses A.I.-powered predictions to provide suggestions and speed up your typing. Provided your smartphone is running Android 4.1 or a more recent version of the mobile software, you'll be able to use SwiftKey for emojis. And thanks to the app's intelligent features, it can even predict which emoji you'll want to use and when, and provide suggestions in those cases. Using Google Hangouts as your texting app could be a solid option, especially if you're using an older Android phone that isn't running Android 4.1 or a more recent version of the operating system. The Hangouts app has emojis built in, in addition to offering stickers and the ability to send GIFs. This option also requires you to replace your standard texting app with Textra, but it could be well worth it, especially if you want to see emojis as they appear on the iPhone rather than on Android devices, since you can choose between Android, Twitter, Emoji One and iOS-style emojis.